Cheap Weekend Fun in Boston for October 29-30, 2016! There’s so many fun and cheap things to do this very spooky and sweet last weekend in October! If you read 31 Budget-Friendly Things To Do This Halloween in Boston yesterday, you’ll notice there’s a few repeats. I included a few Halloween events happening this weekend, but I did not include the mall trick-or-treating and a few others on the list. There’s of course a few non-Halloween events (gasp!) 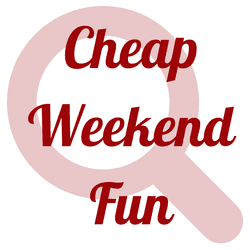 on this cheap weekend fun round-up as well, but you’ll have to scroll down for those! Wally and Tessie’s Halloween Party: Saturday, October 29, 2016 from 11-2pm at Fenway Park. Trick-or-treat at the ballpark, paint mini pumpkins and enjoy other fall activities! Free and open to the public. Pru Boo: October 30, 2016 from 11-1pm at the Prudential Center. Wear your cutest costume and trick or treat for charity. Face painting, kid concert, pumpkin decorating and more. $4 donation towards nonprofit partner. Haunted Off the Wall: Sunday, October 30, 2016 at the South End Open Market at the Ink Block. Enjoy the last outdoor market of the season with a live graffiti art party with Halloween theme murals, activities & costume contest! 5th Annual Dia de Los Muertos Celebration: Saturday, October 29, 2016 from 12-6pm at Taza Chocolate Factory Store in Somerville. Enjoy hot chocolate samples, crafts, face painting, music, and more at Taza Chocolate! Halloween Pet Parade & Costume Contest: Saturday, October 29, 2016 from 12-2pm at Faneuil Hall Marketplace. Watch, enjoy, and possibly dress up your pet for this annual pet parade! Registration is required for costume contest. Howl-O-Ween Pet Party: Saturday, October 29, 2016 from 11-1pm at the Seaport Hotel. Mix and mingle with other pet owners and pets and enter the pet costume party! Free and open to the public. Fall Family Fun Day at The Lawn on D: Saturday, October 29, 2016 at The Lawn on D. Enjoy this fall family fun day with hay bale maze, pumpkin carving, face painting, and more! North End Halloween Party & Parade: Saturday, October 29, 2016 from 1-3pm in the North End. Enjoy a parade through the North End + some Halloween fun! Old North Family Fall Festival: Saturday, October 29, 2016 from 1-4pm at Old North Historic Site. Celebrate the fall at one of Boston’s unique sites with fun fall activities! Halloween Festival: Saturday, October 29, 2016 at Blackstone Square from 12-3pm. Enjoy this Halloween festival with pumpkin decorating, crafts, face painting, yoga class, and much more! Brookline Arts Center Open House: Sunday, October 30, 2016 from 1-4pm. Enjoy a Halloween inspired afternoon with trick and treats, artwork, activities and more! Run the Halloween Beer Dash: Saturday, October 29, 2016 starting at 11:30am at Conor Larkin’s. Enjoy a workout, free beer, and a costume contest. Alternative Halloween Party: Saturday, October 29, 2016 starting at 7pm at Slumbrew. Don’t want to wear a costume this weekend? Celebrate at Slumbrew and if you order an entrée or a pint after 7pm, you’ll get a free slice of pumpkin pie while supplies last. MICE 2016: October 29-30, 2016 in Cambridge. The Massachusetts Independent Comics Expo is a free weekend event showcasing the best in local comics! Boston International Antiquariun Book Fair: October 28-30, 2016. This Boston Book Fair is celebrating its 40th year for the serious collector or curious browser! MIT Museum: Sunday, October 30, 2016. Free admission at the MIT Museum the last Sunday of each month, September to June.